Sally Scott’s majestic front cover image hangs on my study wall and at this time of year autumn sunlight slants across the picture making dark shadows and new contrasts. I’ve taken a few photos of this and today I reworked one of them. 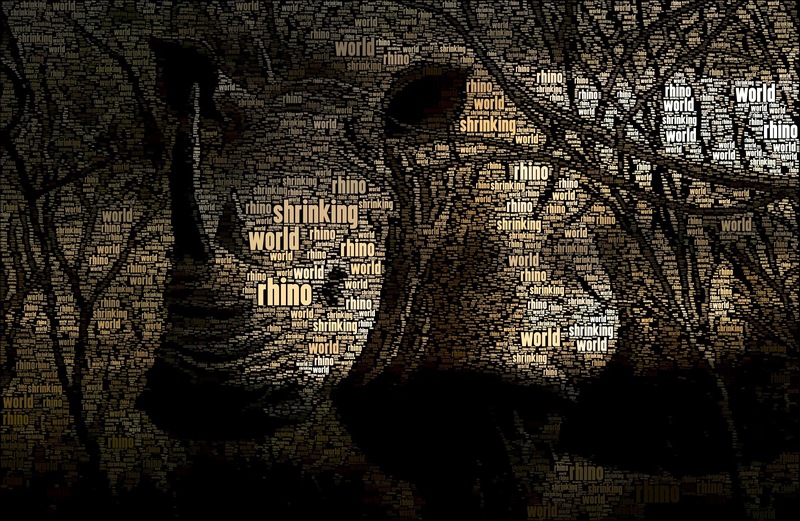 I chose three keywords – rhino, shrinking and world – and used the photo as a base to run them through WordFoto. It’s a very clever application that selects area of similar colour and shape in a picture and then replaces them with your selected words at different sizes. Here’s the comparison. There’s no intention to change it! 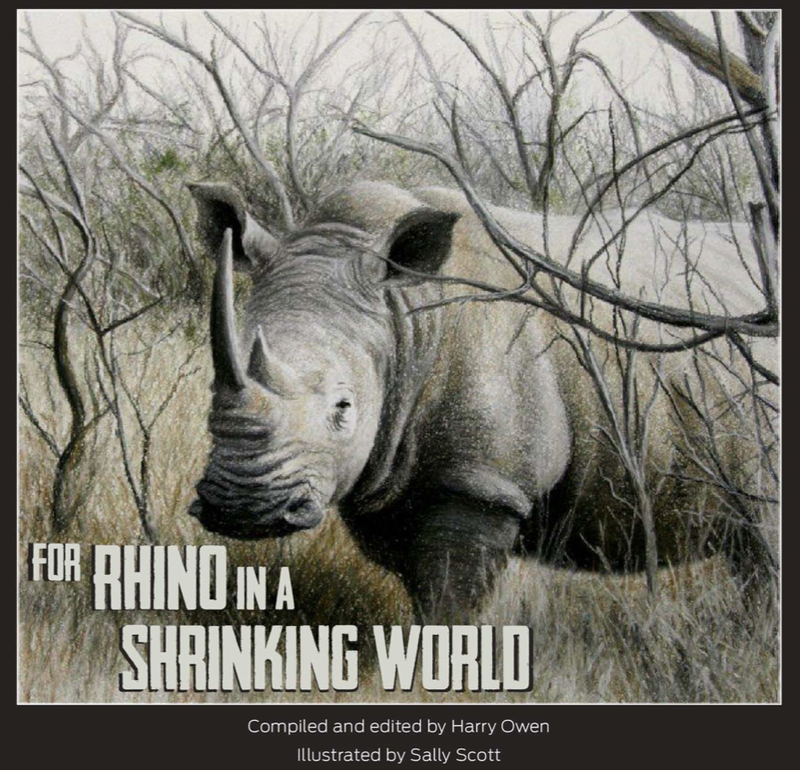 She is showing the artwork from the rhino anthology in her exhibition Delta and Desert at the Carinus Arts Centre, Grahamstown during the National Arts Festival from 27th June to 6th July. 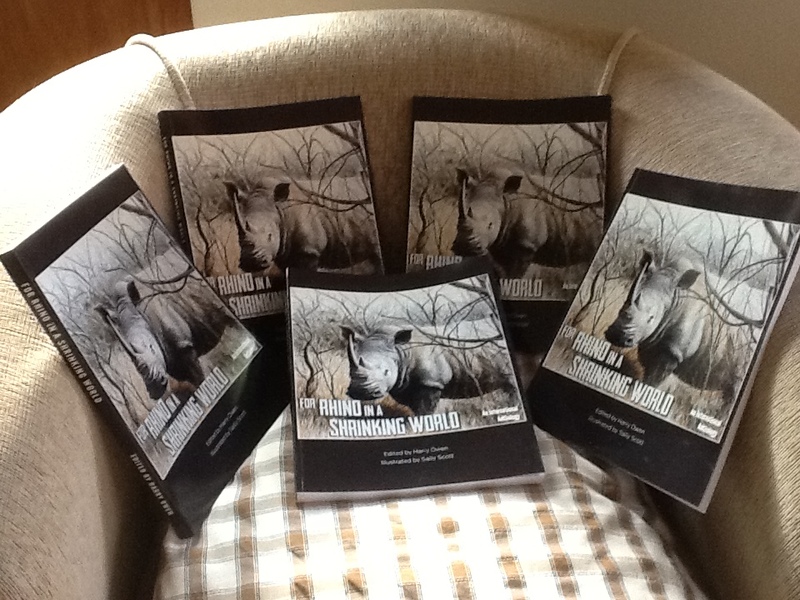 If you want to buy the original drawings, limited edition prints or greetings cards they are all available for purchase (10% of the sales will be going to the rhino). She says that a number of the originals have already been purchased: you can see the costs of the various items in her blog here. 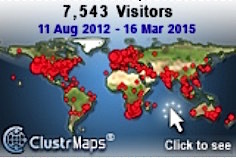 If you can’t get to the exhibition you can always contact her via her blog. Just received the drafts of the back and front. Comments? We (Sally Scott, John Forbis, Amitabh Mitra, the designer Rentia Ellis and I) are currently in the process of finalising the anthology’s covers, front and back, and I think they look very good. As soon as the cover is finished I will post it here, so keep checking in. Meanwhile, in response to a few understandable queries: it is still my hope and intention to have the anthology available very soon, but it must be as perfect as we can make it first. This might mean that, although the official launch may now have to be after rather than before the Christmas holiday, the book should be available for purchase in advance of this so that it can be ordered, if you wish, as a beautiful Christmas or New Year gift. I’ll let you have full details just as soon as I have them.